Annotation: Michael Corleone stands on the dock at Palermo. His two-year exile in Sicily is over, but the Godfather has charged him with a mission: do not return to America until he can bring with him the man named Salvatore Guilano. Giuliano – a legend, the bandit ruler of Western Sicily, a vicious leader fighting for his peasant countrymen against the corrupt government of Rome. But Guiliano's deadliest battle is not with the police or the armies of Rome, but with Don Croce malo, the ruthless Capo di Capi of the Mafia. By challenging the Don's iron-clad control, Guiliano sets in motion a feverish war in which the loser must surely die. Enter Michael Corleone, at sea amid a flood of treachery, passion, and deceit. The secret is that he soon discovers promises greater success than Michael hoped for – and the cruelest threat he has ever faced. 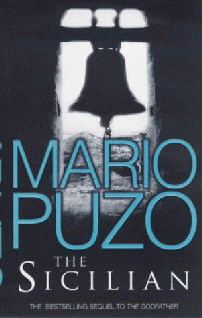 Once again, Mario Puzo has created a masterful story of evil on an epic scale, mesmerizing us with the terrible magic of the Mafia.